Kuwait easily won the gold medal at the 2017 Division I Challenge Cup of Asia event, beating Oman 13-0 in the final game. It was an easy game from start to finish, with Kuwait taking a 5-0 lead after 20 minutes of play. Ahmad Al Ajmi scored three of his five goals in the opening frame, eventually earning the top player award for the game. Al Ajmi was also named tournament MVP thanks to posting 11 goals and 17 points in just three games for Kuwait. Abdulaziz Sheftail was also on top of his game, scoring twice and adding four assists to finish with six points on the night. Jasem Al Sarraf stopped all 16 shots he faced, resulting in a perfect 2-0 record with no goals allowed on 24 shots overall. Kuwait was able to secure their second gold medal at the Division I tournament, with the team beating Singapore to win gold back in 2015. India managed to come second place while Oman finished third and Macau came last with zero points. منتخب الكويت لهوكي الجليد يحرز كأس اسيا ٢٠١٧???? 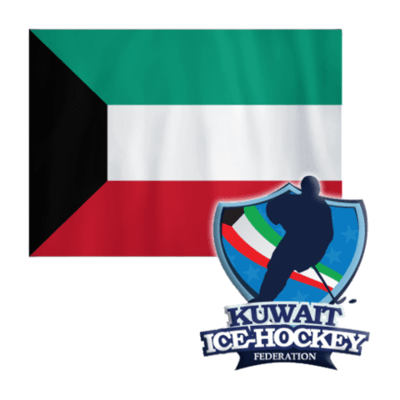 Kuwait national ice hockey team ???? Goalie Artur Pavliukov, aged just 20, has been a big part of that roster. In those victories over Estonia and the Netherlands he’s turned away 30 shots to provide the platform for his country’s winning start. It’s turning into a fine conclusion to a long and sometimes complicated season for the Lake Tahoe Icemen net minder. The 2016-17 campaign saw Pavliukov head to North America for the first time in his career. Whatever expectations he had when he flew across the Atlantic, the subsequent year brought far more than he anticipated. Player development is a big issue for Lithuania, with opportunities at home very limited. In the words of head coach Bernd Haake, any young player wanting to achieve a high standard has no option but to leave the country and seek a chance elsewhere. The roster in Belfast offers a roll-call of Europe’s mid-ranking leagues. Fortunately, that pressure to travel and explore the hockey-playing world is something that Pavliukov has always relished. Belfast is a new stop on that voyage, and Pavliukov hopes that the final destination might prove to be promotion. Lithuania has medalled in the last two World Championships and picked up wins against the likes of Great Britain and Ukraine along the way. The young goalie was part of the team that claimed bronze in Zagreb 12 months ago before helping the under-20s win Division 2A in Tallinn earlier this season. Now he is eager to grab more hardware here despite icing the youngster roster in the group with an average age of 24. Part of the reason for Lithuania’s rock-solid rearguard thus far has been the calming presence of captain Mindaugas Kieras. On a youthful roster, his 19 World Championship campaigns makes him an example for others to follow as the Baltic nation looks to move from one generation to the next. That blend of experience and youth faces its latest test against Great Britain on Wednesday evening – the start of what coach Haake describes as a series of meetings with the ‘big teams’ in Division IB. And with Pavliukov in red-hot form, there’s every reason for the Baltic nation to hope to upset the host nation and blow the promotion race wide open.